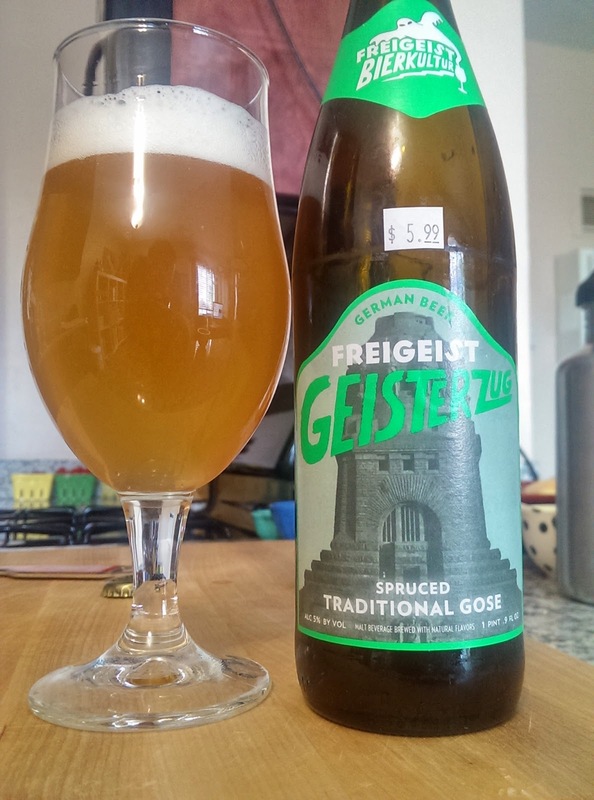 The last gose I reviewed -- Golden Gate Gose -- made me a little bit obsessed with the style. Yet I was still slightly hesitant to buy this, because I can still imagine what a 'bad' gose might taste like and I'd very much like to avoid that experience. This is wonderful though. The faint spruce essence nicely complements the lightly soured wheat. It's definitely salty, but well balanced. My mouth puckered a bit initially, but so does cramming a dozen sour gummy worms in your mouth.